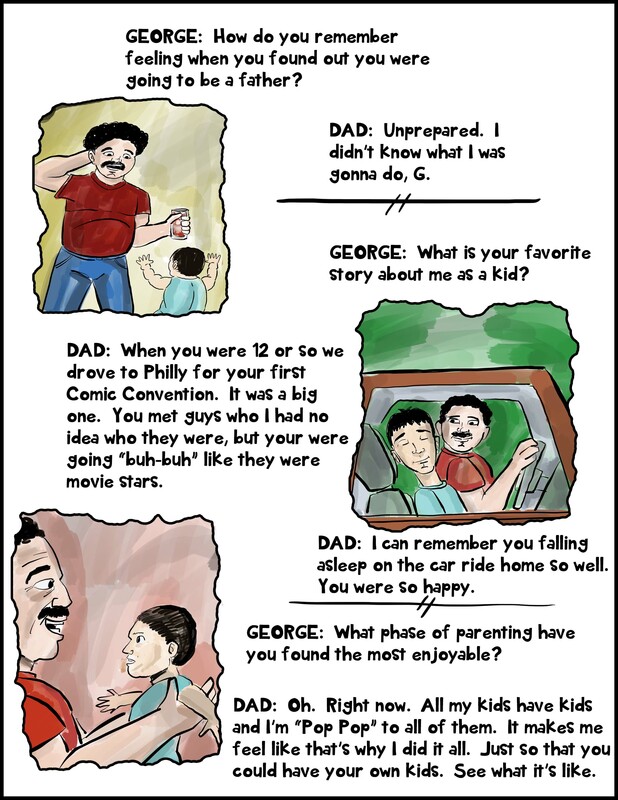 George is the writer and artist behind The SAHDness (Stay At Home Dadness), which brings an interesting twist to your average dad blog. 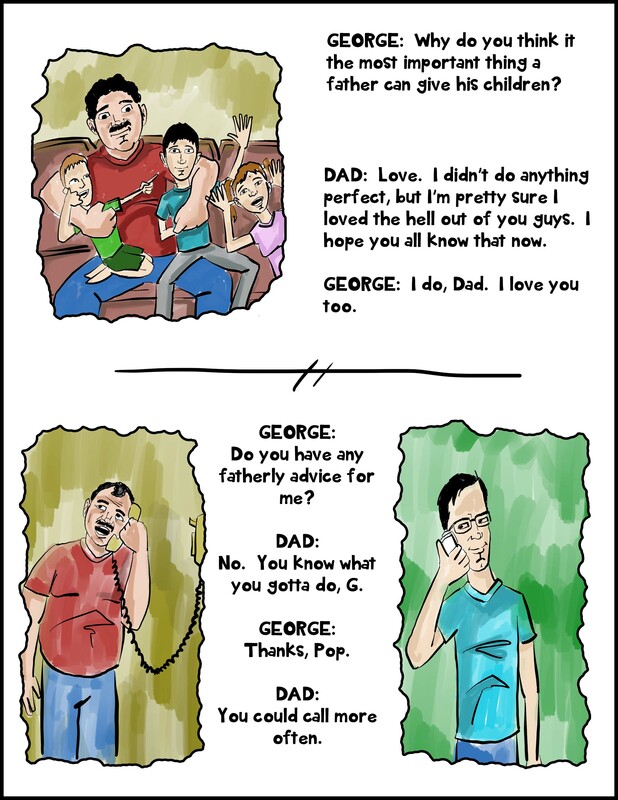 George presents his thoughts in the form of a webcomic. Working with an illustrator myself (@paulcarlonillustration), I get great pleasure from seeing my experience with the kids immortalised in cartoon. I was drawn to George as he has some fantastically funny, and many poignant, pieces that his kids will be able to look back on with delight. The recent “I am Jack’s Freedom” really struck me with a header comic that sums up the beauty of youthful innocence and text that puts the despair of today’s political climate alongside the joy of parenthood. 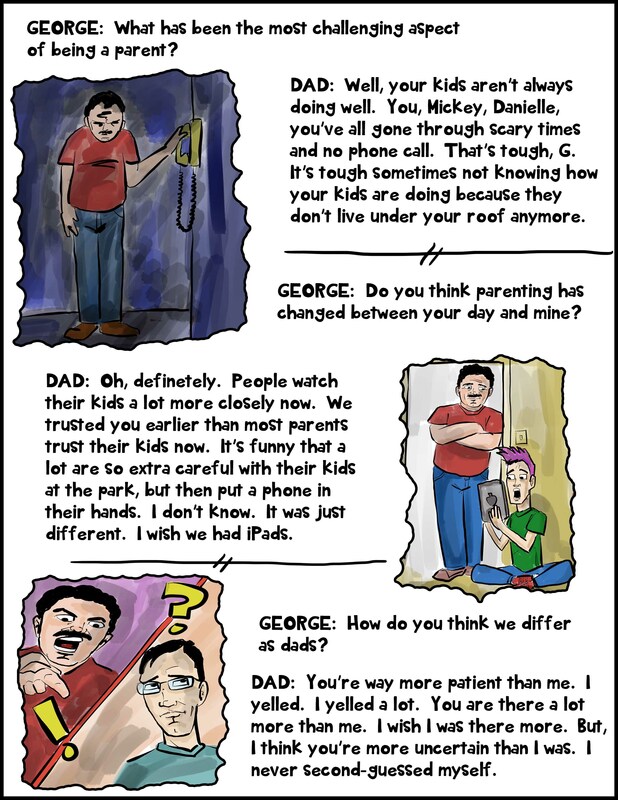 You can check him out on Facebook or Instagram but for now, enjoy what happened when George and his Dad started talking about parenting. George, thank you so much for taking part. The final pane of the mobile phone and wall phone cracks me up. I’m sure people will be delighted to know they can find you on Facebook and Instagram.